Siesta Home and Condo Rentals, Inc. personnel have over 30 years of experience in the real estate industry with the past 7 years focusing on Siesta Key area rentals. We pride ourselves on excellent Customer Service and prefer to meet new and prospective tenants in person whenever possible. 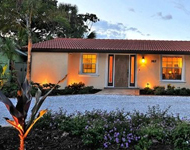 We are centrally located on Siesta Key, but also service properties in the surrounding areas. In cases of maintenance or emergency issues, we are available 24/7 with licensed and insured vendors to respond to your needs. Our marketing reaches local, national and international customers, through our website, outside advertising, referrals from real estate agents, prior customers and the Siesta Chamber of Commerce.